Swirl around gracefully in this beauty worth beholding, Cotton Lover Kalidaar Long Tunic for Women crafted at Snehal Creations. The Stand out point of the tunic is the unique floral print it carried on an off white base with yellow borders to compliment it beautifully. 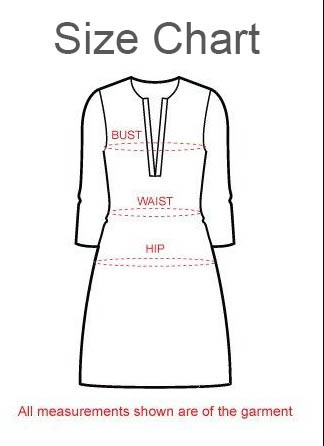 When paired with a round neck, abroad neck panel and matching buttons, this kalidaar tunic is worth grabbing at all costs. Answer: Length is 42 inches.